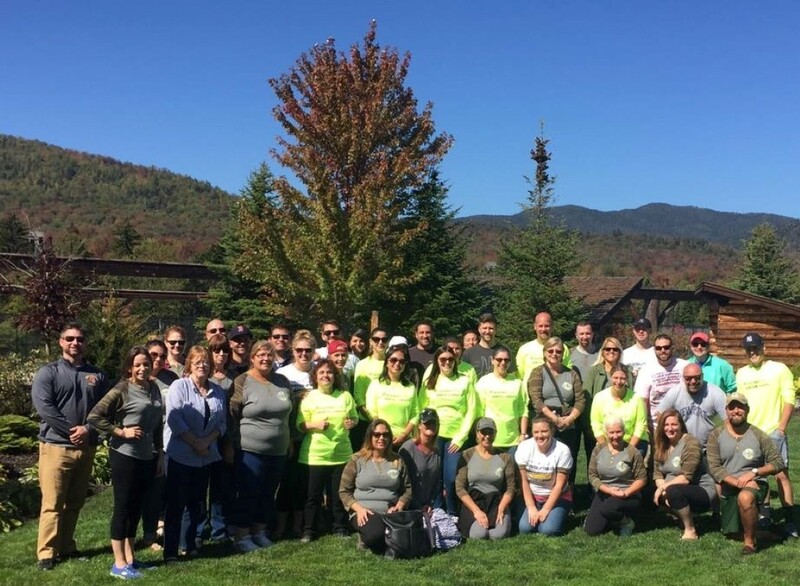 Property managers had the unique opportunity to learn more about the housing industry, meet fellow United Group employees, and relax at the beautiful Whiteface Lodge. Some familiar faces at United Group presented as well, including regional managers, leasing managers, the marketing department, and the human resources department, which offered details on United University, a comprehensive training program designed to provide a foundation of knowledge, skills, and opportunities to learn and grow as employees. Two property managers were recognized for earning a United University Associates Degree, and were presented with their awards. Following the seminars, the United Group team enjoyed a catered dinner and heard from Chief Operating Officer Jeff Arnold, who presented United Group President’s Award to Beatriz Beecher for her relentless work ethic and longtime commitment to the United Group. The next morning, United Group accountants joined in on the fun, and arrived just in time for exciting group activities. Some of the team curbed their need for speed by bobsledding at the Olympic Sports Complex and zip lining at Experience Outdoors. Others enjoyed the scenic view of the Adirondack Mountains on a group hike, while some preferred to relax on a boat cruise on Lake Placid. The day’s activities concluded with lunch and a group photo (see above), and the 2017 Managers Retreat came to a close. Another successful Managers Retreat is officially in the books!